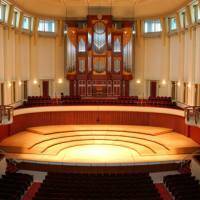 The Schwartz Center for Performing Arts provides a central space for Emory University's rapidly growing music, dance and theater programs. The 90,000-square-foot facility includes a world-class concert hall, a dance studio and a theater lab for the development of new works. Each space encourages student learning and inspires the development and performance of new work. Parking: Parking is available in Emory University's Fishburne Parking Deck. Enter at the first entrance during weekdays or the second entrance during weekends or evenings. The Schwartz Center for the Performing Arts is located next door to the deck on Fishburne Drive.